There are several website builders around, but none are as popular as Weebly and Wix. Both of these offer feature-rich builders that can create professional-looking pages, and both are around the same price point of $5 to $25 a month for their regular paid plans. However, there are numerous differences here that can help you determine which is better for you. We will cover the differences in more detail below, but in general, Wix is the best if you’re looking for a beautiful website builder that allows for ultimate customization, contains hundreds of templates and is consistently updated with the newest and best features. However, this beauty comes with a price in terms of possible bloat, and changing designs can be difficult. 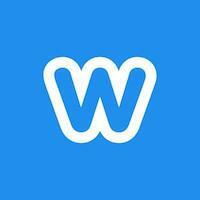 On the other hand, Weebly focuses on simplicity. Their designs are more minimalist. While they don’t offer as much customization on the drag-and-drop side, they do allow you to change the source code. There are premium templates available that really change things up, and changing from one template to another only takes a few minutes. However, they fall behind when it comes to more modern features. One doesn’t necessarily win over the other, so it’s a matter of what features and tools are a priority for you. If you want a beautiful website with a responsive mobile design, then Wix emerges as the victor. If you prefer simplicity and a website that you can export to other hosts, then Weebly is the winner. Wix offers 500+ templates for you to choose from, all of which are included in your plan. Each template is designed to look beautiful and make use of vibrant pictures and elements, ensuring that it looks professional and visually captivates your audience. The templates are built with more modern sensibilities, appealing to most Internet users. Your visitors will instantly know that mean business. All of the available elements are truly drag-and-drop capable. This means that you can place them anywhere on the page. You are able to add as many elements as you’d like on the page, and it’s as easy as moving them with your mouse. Each element and section of the page can be changed. You can adjust color, size, font and many other things until the element looks just right. The entire page is your canvas, along with every element that you add. This gives you ultimate customization over the website until it truly matches your vision. Since almost everyone now browses the Internet with their smartphone or tablet, it’s important to have a “responsive” website. This is a website that responds to the user’s screen and sizes itself appropriately. All Wix templates are mobile ready without any additional tools or effort. There is also a comprehensive mobile editor so that you can change the mobile version of your website to match your preferences. 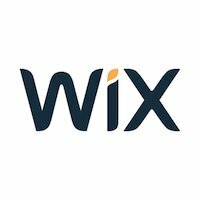 Wix is constantly updating their features and tools, not only that, but they are adding new ones every month. They are very public about what features they are adding, plus they give you a straightforward description of each new tool or update. This makes it easy to know what they’re adding, why they did it and how you can use it for your website. These features affect all layers of their service. From adding shop features to a new API to additional elements, so everything about them is getting consistently better. The online support is superb. Whenever you select a tool, you will see a “?” button near the top of the menu. Clicking this button will bring up a targeted support window that describes the tool is straightforward language that is easy to understand. Some customers have noted that this level of support is necessary because some of the tools are hard to understand without additional help. It’s suggested that you change a website’s design every six months or so, or if you’re just getting tired of the old design. Wix makes it very difficult to change to a new template because none of your original information is carried over. You will have to manually input that information again, and you’ll have to insert all of the additional elements again. There are many things you can change about your template, but you do not have access to the source HTML and CSS code. While some might see this as a benefit as they wouldn’t want to change the source code, having it would give you even more control over the template. Wix’s ultimate customization comes with some caveats. Users are able to change, modify and add to every element on their website. However, the more colors and heavy files an element has, the longer it takes to load, and the more bandwidth is required per load. Since there is no control or monitor for this, users may end up unintentionally bloating their website, which can lead to drastically reduced speeds and increased bandwidth usage. As you will see later, Weebly allows you to export your website. This means that you can transport the HTML, CSS and other files to a different host. Wix does not have an exporting feature. This means that you can only use their website and builder if you are signed up with them. There is no way to move it to a different host. Wix justifies this by saying that only their servers are specially made to handle their websites, which may be true. However, it is annoying that you have to stay with them if you don’t want to lose your website’s design. Just like with exporting, importing is a feature supported by Weebly but not by Wix. This means that there are no additional templates outside of Wix that you can use. You are stuck with only what they offer. While there are over 500+ templates currently available, sometimes it’s nice to get a premium one with special features. The benefit of this is that you don’t have to buy a premium template. All of the templates available on Wix are there and already included in your package, so you don’t have to pay extra for third-party templates. While not as many as Wix, Weebly does offer 100+ different templates for you to choose from. You should be able to find at least one that you like. Weebly’s design philosophy is on the minimalist side, which is in contrast to Wix’s. Depending on your preference, this may be a pro or con, but some people truly like the simpler designs as they draw more attention to the content rather than the visuals. Despite not focusing as much on graphics, there are still plenty of areas for pictures and other visuals, it’s just not their emphasis. You are given pre-defined areas on each page where you can add different elements. These elements include buttons, forms, images and so on, so just about anything that you would need to add to your website. While some people might find it limiting that they can only add these elements to certain sections, it removes uncertainty and lets you know where they would look best on the website. You won’t be left flapping in the wind wondering if the element would look better slightly to the left or right. Tired of the template you have? Ready to change to a different design? Weebly makes it incredibly easy to change. Unlike Wix, where you have to reinsert all of the elements and text, Weebly allows you to change in seconds. Just select a new template and all of your original information and elements will be carried over. While few people seem certain, this seems to be due to the pre-defined areas. Since there are only so many areas where you can add elements, it can easily track that data and move it over to a new template. Weebly gives you access to the source code, allowing you to change it however you’d like. While this does require knowledge of how to use HTML and CSS, as improper changes can literally ruin the page, this allows you much deeper customization. Weebly allows you to export the HTML, CSS and other files. This allows you to migrate your website to another host, so you won’t lose out on your favorite design if you don’t feel like using Weebly as your host. You can also import templates to give you more options. This may be a con to some people because in most cases these third-party templates are for sale, they aren’t free. However, it’s still nice because it gives you more options than only what Weebly natively offers. The support center is primarily online, just like Wix, and the information is actually quite good. The problem is that, when compared to Wix, the support center isn’t quite as nimble and easy to access. You have to go to the support page and search for a relevant section to get help. This takes longer and requires more effort than Wix. On the other hand though, since Weebly’s tools tend to be simpler than Wix, you may not need support as often. Weebly does update their features and tools, but it’s infrequent. You can expect about one or two updates a year, that’s it. While the updates are just as public as with Wix, you may be disappointed that there are so few changes or additional tools. They do improve services, but it’s not nearly as common or consistent as Wix. Weebly does offer responsive designs, but only a limited number of them. Considering that Weebly already has fewer templates than Wix, this dwindles your options even further. Only their newer templates are appropriate for mobile usage. While older designs can still be viewed on smartphones or tablets, they won’t be optimized for smaller screens. This can lead to lower mobile users and search engine problems since Google tends to prioritize mobile websites for people browsing with a device. Also, there aren’t any specialized tools for tweaking your mobile site. Your website will look good on the smaller screen, but there aren’t as many customization options as with Wix. Hierarchy is important for website structure as it determines which page goes first, second, third and so on. While there is a “Pages” function that allows you to set hierarchy, It’s not very efficient and it quickly becomes unwieldy as your website grows. This should be a fine tool if you plan on keeping your website under 10 pages, but anything above this may be problematic to manage. You have access to the source code, as stated above, but you don’t gain root access to the server itself. This is commonly a feature with hosts, but you don’t gain it with Weebly. You cannot use FTP or other similar services, so adding a lot of files to your website at once can be tedious. Due to the lack of root and FTP access, some advanced tools and programs may not work properly with your website. Casual users won’t have to worry about this, but advanced users might take issue with this. There’s no clear winner here as both offer very different services and seem to be complete opposites in many regards. Wix is good for beautiful designs, mobile responsiveness, having a massive number of available templates and giving you a lot of freedom with your customizations. However, they don’t give you source code access, it’s hard changing templates and there’s no way to import or export templates. Weebly, on the other hand, is all about simplicity, both in design in philosophy. The templates focus more on a minimalist design, plus they give you access to source code and allow you to import and export templates as necessary. However, there is less customization and fewer mobile templates and tools. So, do you prefer beautiful designs or simpler tools? That’s what it really comes down to. Both are good, but neither one really pulls ahead of the other.